26.2 Newest Brew Is The Beer That's By Runners FOR... 1 Vote Up! What to Know About Don Julio's Latest Campaign 3 Votes Up! What to Know About Carvel's First Ever Cookie Puss... 0 Votes Up! Georgetown Cupcake and Baileys Just Released A Lim... 1 Vote Up! Blue Point Brewing Has A New IPA 1 Vote Up! What The Actual L; All You Need to Know About Blue... 4 Votes Up! Everything You Need to Know About Tito's Handmade... 0 Votes Up! Must Try Dry January Mocktails in New York 2 Votes Up! A Super Last Minute Boozy Gift Guide 7 Votes Up! The Basics of Campari Iris by Pam Wiznitzer 4 Votes Up! What Happens When Don Papa Rum Releases Don Papa 1... 1 Vote Up! What to Expect From This Year's Goose Island's Bla... 1 Vote Up! How Some of New York's Top Bars Blessed Us All for... 1 Vote Up! What Happens When The Walking Dead's "Fear the Wal... 2 Votes Up! How to Master Wine 101 Featuring Winc's Tasting 10... 2 Votes Up! What to Know About Belvedere Vodka's Single Estate... 2 Votes Up! 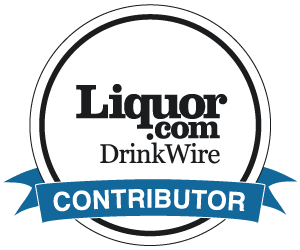 The Masterminds Behind Liquor Lab Have Unleashed T... 1 Vote Up! The Story Behind Bailey's x Odd Fellows' Baileys E... 3 Votes Up! The Latest News With Belvedere Vodka 1 Vote Up!